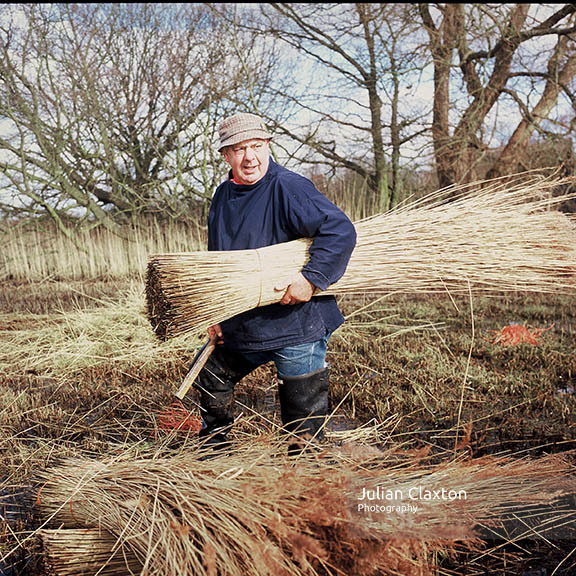 To celebrate Norfolk Day, I thought it was rather suitable for me to share a photograph that I took nearly 14 years ago of Eric Edwards who could quite happily be described as ‘Mr Norfolk’. This photograph was taken using my beloved Hasselblad 500cm using Fuji Provia. I was an aspiring freelancer at the time, trying to cut my teeth in the world of photography. I was lucky enough to work with Eric for 18 months, I would regularly visit him at How Hill and spend the day in his company, listening to stories and relishing the opportunity to be with a true Norfolk legend. I created a really intimate body of work and in many ways these images helped to launch my freelance career. This entry was posted in Uncategorized and tagged broads, east anglia, eric edwards, how hill, national. park, norfolk, Norfolk Day, reedcutter, reeds, river, uk. Bookmark the permalink.